So you’re thinking about an All-Inclusive Hawaiian getaway for your upcoming vacation, wedding, or honeymoon- you’ve made the perfect choice. However, a quick internet search may have left you wondering why there isn’t a huge selection of all-inclusive Hawaiian vacation packages available. After all, Hawaii is a top vacation destination worldwide and lots of travelers love the price and convenience of all-inclusive packages, so it seems logical that there should be loads of offerings, right? Well, simply put, because Hawaii is such a popular tourist destination, it doesn’t really need to offer a wide range of all-inclusive options. Generally speaking, many destinations that offer such packages do so in order to attract more tourists to their location- that is, people visit that particular destination in large part because of the availability of all-inclusives. Additionally, many destinations offer all-inclusive packages because of certain factors beyond the travel industry’s control. For example, certain locations may lack nationwide safe drinking water, food prices and offerings may be limited outside of the resort area, the general safety of tourists may be questionable in certain public areas, and activities that tourists favor may be limited, as well. This is where all-inclusive vacation packages come in- they fill the safety, entertainment, and budgeting needs of the visitor and thereby attract them to the destination. Here’s the good news: Hawaii, unlike many other tropical vacation destinations, is extremely safe for visitors, the state has all the necessary infrastructure to fulfill vacationers’ necessities and creature comforts, and people of many different economic possibilities visit the island. These factors account for the lack of all-inclusive options available across the Hawaiian Islands. 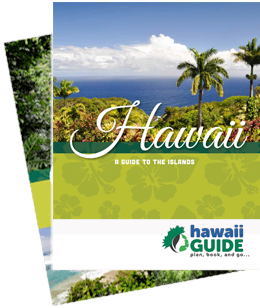 Now, here’s the even better news: we here at Hawaii Guide have found the first (and best) Hawaii all-inclusive vacation package provider- Aloha Hawaiian. Aloha Hawaiian has been in business for over three decades and focuses solely on providing excellent Hawaiian vacation packages. Bottom line- they are the All-Inclusive Hawaii Vacation experts. They live, work, and play in the islands and their friendly Hawaii Vacation Travel Specialists are eager to help make your Hawaiian getaway a reality. We understand that a Hawaiian vacation, honeymoon, or wedding can be a huge expense for many people; let’s face it- paradise can get pricey. There’s airfare, transportation and car rental, activities, shows and entertainment, meals…. Plus, it’s easy to forget all the ‘little expenses’ that can quickly add up and blow a hole in your budget if you forget them- resort fees, hotel parking, porterage fees, taxes, gratuities, and the like. It’d be nearly impossible to budget so many expenses to a ‘T’. And even if you were able to do so, many people don’t have the time or the inclination to thoroughly research activities, hotels, and dining options that are high quality, fit into their schedule, and accommodate their wallet at the same time. We get it- you want to jump in and start having fun and de-stressing without all the hassle. That’s why we suggest you book with our friends at Aloha Hawaiian. Whether you are planning a beach-side wedding on Maui, a romantic honeymoon on Kauai, an amazing Premier Package to all four main islands, or just about anything in between, count on Aloha Hawaiian to provide you with the best activities, accommodations, dining options, and extras that make your dream getaway unforgettable- all while going easy on your budget. Aloha Hawaiian has a wide variety of all-inclusive packages to choose from, so you’re sure to find the one that’s right for you. There are no hidden fees, no surprises, and they’ve done all the work for you so you can get on to more serious endeavors- like making Hawaiian memories to last a lifetime!